The library and the reading room have been functioning from the very beginning of the institution. When the Mission was shifted to its own premises, the library and reading room were organized in the ground floor of the main building to which a wing was added in 1944. The foundation stone of a new building (dispensary on the ground floor and first floor reading room/library) was laid by Sri Sankar Prasad, Chief Commissioner of Delhi, on May 1, 1949, the design again being done by Sri N.K.Kothari. 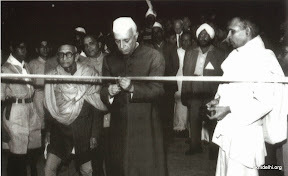 This was opened by the then Hon’ble Health Minister Rajkumari Amrit Kaur on August 27, 1950. (This is the corner building on our campus, where still the homeopathy dispensary works out of. The Axis bank works out of part of the building.) With the eager reception received by the library from it’s users, the first floor library soon began to feel the shortage of space. However, under the leadership of the then Secretary of Delhi Centre and later the 13th President of the Ramakrishna Math and Mission, Belur Math, Swami Ranganthanandaji, the present library with an area of 2772 sq. ft. on the ground floor and an auditorium with 1000 seats on the first floor were constructed. The foundation stone of the library and the lecture hall building was laid by Swami Nishreyasananda on the birthday of Sri Ramakrishna on March 6, 1954. The library is open to members for the purpose of reading and reference work on all days except Mondays and other notified holidays. 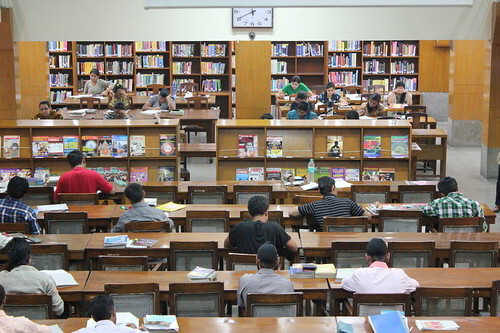 The library has a reading room facility and also a lending section for the benefit of borrowers, but books are issued to members residing in Delhi only. 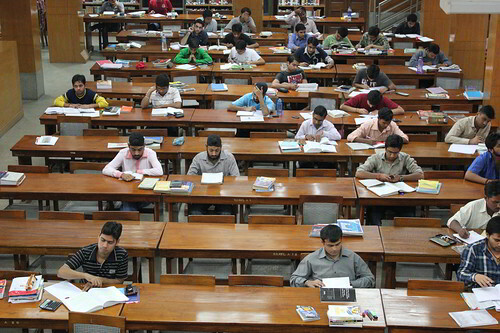 The library is equipped with books on generalities, philosophy and related disciplines, religion, social sciences, languages, pure sciences, technology (applied science), arts, literature, rhetoric, geography, history, etc. covering 13 languages, including French and Russian. 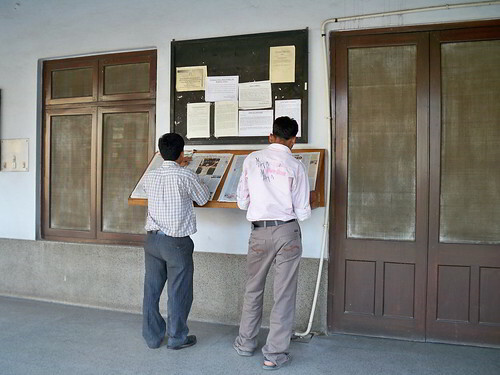 The library provides dailies in English and Hindi and periodicals in several Indian languages. The reading room receives 13 newspapers and 152 periodicals in 10 languages. The total number of books in the library is 43393 (as of April 2015). Library membership details are available here. We receive frequent requests from our members for A.C reading room. As per our constant endeavor for providing more and more facilities to our readers, we have decided to provide A.C. reading room facility to ‘select members’.